Cooling Facial Serenity Gel gives you calmer, smoother and radiant skin! For oily – normal skin (gel) | 2 fl.Oz. Do you feel frustrated with rosacea treatments that promise a lot but don’t deliver? 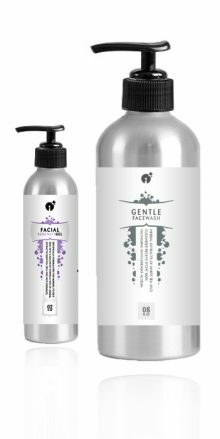 Facial Serenity Gel will reduce your facial redness and irritation within weeks, guaranteed. In fact, we believe in our products so much, we’ll give you a full 90 days to try Facial Serenity Gel risk-free. We know that it may take some time to notice the full benefits and we don’t want you to stress out over not having enough time to try our product. Some people may actually see a temporary increase in facial redness after the first few days as your immune system adjust to the new treatment. Our guarantee is one of the best in the industry. So what are you waiting for? Order today and experience a calmer face with less redness and irritation. 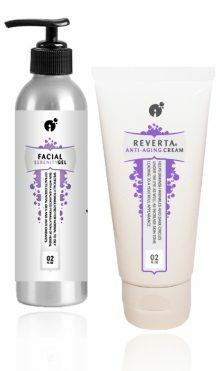 I have been using your product for 3 months and my face looks incredible! 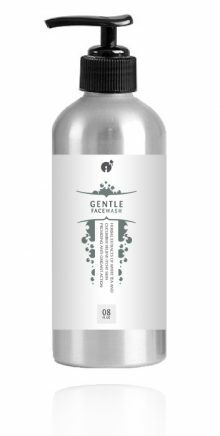 Facial Serenity Gel is specially formulated for normal to oily skin. This gel will not dry out your skin. It is formulated for people who do not like the feeling of creams or lotions on their face. With a balanced blend of herbal extracts, essential oils and antioxidants, daily use of this gel may help manage the redness and inflammation often associated with rosacea skin. Apply the gel to your face and instantly experience cooling relief. This product may be stored in the fridge for additional cooling effect. Apply around bedtime and wait at least 20-30 minutes after washing face before applying. Shake bottle before each use and apply thin layer of gel to forehead, nose and cheeks, avoiding contact with eyes. If contact with eye’s occurs, rinse eyes with plenty of water. If a persistent skin rash appears, discontinue use of the gel and consult a physician. For optimal results, always wear appropriate sun protection when outdoors. Your gel feels so good all over my face and since I have been using it, my face is less red and the itch has been gone. It also doesn’t dry my face, which is great!